I love combining colours and textures when creating new salads and I must confess I love a sweet and salty combination. I kept those factors in mind while working on this one. 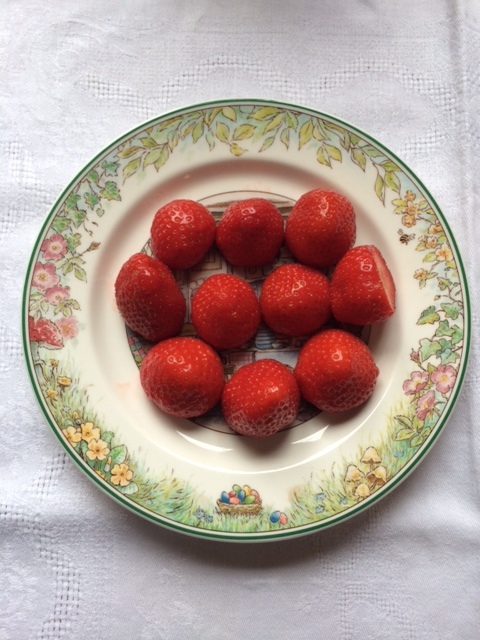 The strawberries have a sweet taste, but also a very smooth texture. It contrasts well with the spicy side of the arugula and the crispiness of the green leaves. The pecan nuts are an excellent source of healthy fats and I have caramelized them to support the sweet side of the strawberries and add a stronger crispy touch. The seasoning is made with orange juice to go along with the strawberries and soften the arugula. 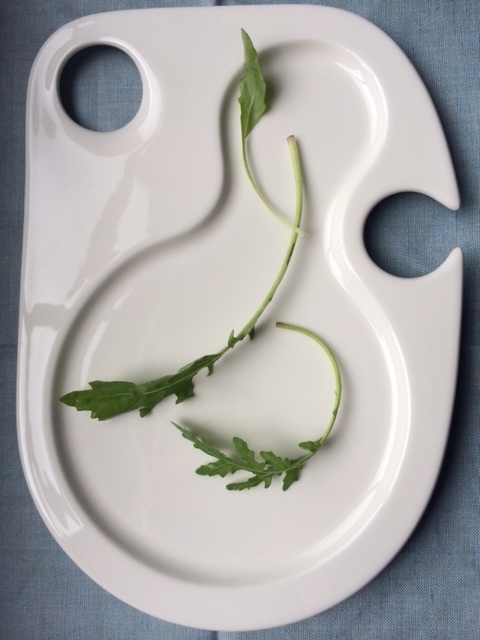 Wash carefully the green salad and the arugula, spin and cut the leaves into smaller pieces. Wash the strawberries and let them dry. Then slice them. Put a small pan on low to medium it with the pecan nuts. Once they start roasting, add the sugar and ensure all the nuts are well coated with the caramel that just formed. Put aside and let them cool. Meanwhile, prepare the seasoning by mixing the orange juice, olive oil, vinegar, salt, pepper and mustard. Give it a try and accommodate to your taste. 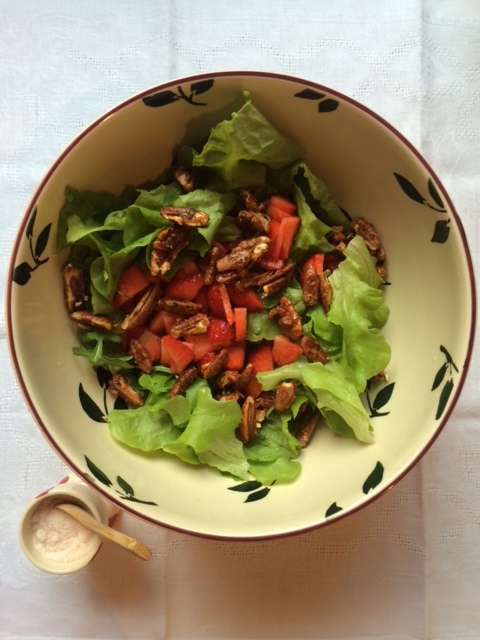 Arrange the greens leaves in a dish, add then the strawberries and the caramelized pecan nuts. Pour the seasoning over the mix. I hope you will have as much fun savoring it as I had creating it.